In future, online grocery growth will come in many forms, some of it through internet-based, direct-to-consumer models, some of it driven by bricks-and-mortar retailers seeking to diversify. But which path will yield more growth for the fresh produce business? 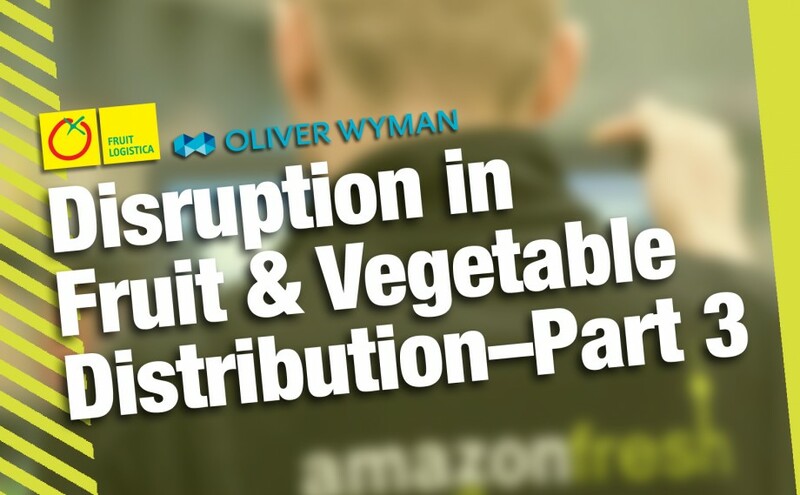 That’s the key area of investigation in Part 3 of Disruption in Fruit & Vegetable Distribution, Fruit Logistica and Oliver Wyman’s free report about the future of international fresh produce supply chains. Click here to download your free copy of Part 3 of the Fruit Logistica Trend Report 2018. As the report points out, the recent advance of online retailing does not necessarily spell the end for bricks-and-mortar stores. In fact, those stores that do survive could be more profitable than they are today. But where will this leave the fresh produce business? “There is no doubt that fruit and vegetables will remain the single most-important grocery category in driving frequency and basket size,” the report finds, suggesting that fresh produce is going to play a decisive role in the larger fight for grocery customers in the coming years. In the meantime, there are signs in the online grocery arena that fresh produce brands may be able to play a more prominent role. What’s more, it’s fair to say that Amazon, Alibaba and other online retailers will want a lot more from their fruit and veg suppliers in future, including direct sourcing, better market analytics, full traceability, broader ranges and faster reaction times. 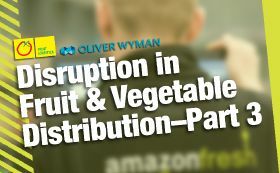 Be prepared for what the future of fresh produce has in store by reading Part 3 of Disruption in Fruit & Vegetable Distribution. To read more about future trends in online retail and how these are reshaping the fresh produce supply chain, download your free copy of the Fruit Logistica Trend Report 2018 here. Parts 1, 2 and 3 of the Fruit Logistica Trend Report 2018 are available here. The final part of the report will be published on the Fruit Logistica website next month.